How do you know if your social media efforts are on the right track? “You don’t want to have that mindset of the majority of people that just put contents out there and hope that it should work,” said Kathrine Rusanovskaya. She has been working in digital media and digital analytics at the topmedia agencies in New York City for more than five years. Her clients are ranging from beauty industry to top-tier financial services. Data analytics are the foundation for getting the highest possible return on any marketing effort. By analyzing data performance, analysts provide brainstorm supports on new ideas in developing digital strategies. 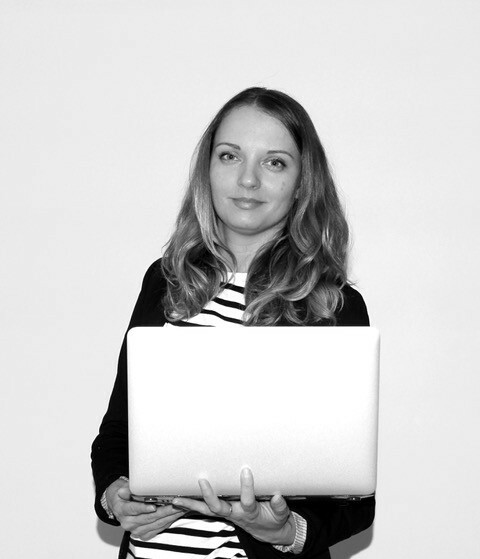 Since many companies are investing in hiring professional data analysts, Social Media Center at the Academy of Art University is offering LA 316: Social Media Data Analytics course and we are proud to have Rusanovskaya as our online instructor. 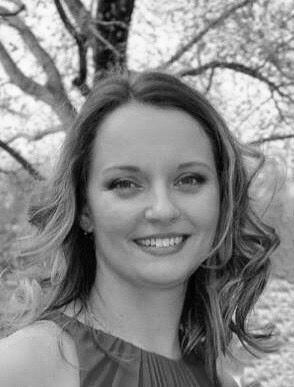 SMC caught up with her to learn more about her experience and expertise in social media data analytics. Below is the edited excerpt from our conversation. Social Media Center: How did you become a data analyst? Katherine Rusanovskaya: I moved from Russia to study communication design at Parsons School of Design. I have a background in user experience and web design then I started working for a digital media agency in NYC. From management, I switched to analytics because I found that it’s interesting to see results and direct improvements from each project. SMC: Can you share some of your experience with previous clients? KR: One of my first experiences doing data analytics was in a cosmetic industry. The client was a company that owns multiplecosmetic brands. We were working on redesigning and remarketing different brands and their websitesto keep them up to date. One of the big clients that I worked with recently was Citi Bank. We had a lot of campaigns in place and a lot of different things happening at the same time, running from digital ads campaigns to social media campaigns. Beside marketing Citi Bank’s products, the bank also sponsors a lot of events around NYC. That’s the fun part, promoting beyond bank just being a bank. SMC: What’s the role of data analyst in social media? KR: When you push out content on social every day for months, you might notice that some post gets more attention than the other and this is where the analytic part comes in. You want to see how the user responds and engage with the content. That way you can see what works and make a better decision. Knowing your data helps you to be more efficient in planning your next social media strategy to get more engagement from your audience. SMC: What is the biggest challenge in being a digital analyst? KR: There is a lot of different data out there. If this is what you want to do primarily, you want to know how to look at the big data and how to work with it. Data analysts have to create and present monthly reports on digital marketing outputs, using data gathered. These reports should include recommendations on next steps in developing digital strategies. When working with clients, you want to make sure that you also have the skillset to be able to present data to everybody else instead of just giving people plain numbers. Your job as an analyst is to do that translation — turning numbers into key points, and data to customer insights that are understandable and presentable to your boss and clients. SMC: What are some data analytics skills that every student has to know? KR: Knowing A/B testing and audience analysis is a must. Students need to understand how analytics tools like Facebook Pixel, Google Analytics Tags, and other tracking tags to build data-gathering mechanisms across client social platforms and websites. SMC: Do you think social media is changing? KR: Social media is like a chat room and brands are utilizing that to have a conversation with customers. I think that’s a trait to be part of the social experience since it was just launched. You can see how ten years ago social media changed from only college students can sign up for it to a big tool it is today where companies invest big bucks in advertising. SMC: Do you have any suggestions for students that want to have a career in social media? KR: They definitely should be familiar with major social media channels and see what those platforms offer. They must understand the difference between those platforms including and find out what’s the best way for them to connect with the type of audience that they have. Let’s say you are running a post that’s more informational; you would rather be on Facebook than Instagram since Instagram is more picture driven. Each of those platforms has their in-house analytic and advertising tools, so be familiar with their cost-per-click and conversion rates. Besides analytics, a lot of times we have to touch the social media strategy. Think about the sales funnels, how many steps you have to make into you are trying to bring traffic from social media to a website where sales happen. It’s great to have a lot of data, but I think in the end the challenge is to create a meaningful content to stand out amongst competitors. Students have to be on top of the trends that are happening in their industry. SMC: What has been your classroom experience so far? KR: I think it has been great because my students are very engaged in our online courses. I am hoping to see that students can apply some valuable skills that they learned from the class. Students had to pick on a brand that they want to work on throughout the semester, and a lot of them chose brands that they owned. They are trying to promote their own pages, business, and products. I always push them to be creative and think outside the box. I want to see them be on that level. Learn more about the social media data analytics course here!